Yoga is a divine way to keep yourself healthy and calm. 21st June is marked as an International Yoga day all around the globe and signifies the importance of yoga in our day to day life. 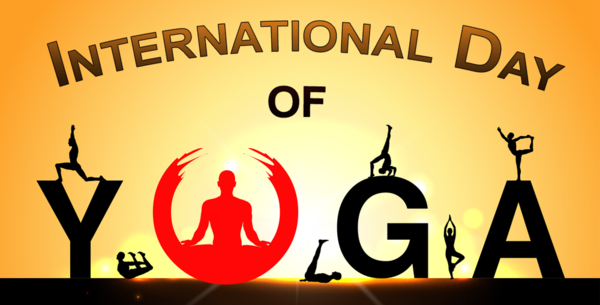 Yoga day was first initiated in India and now have a worldwide recognition around the globe. This International Yoga day make your preferences in your life and establish commitment towards maintaining a healthy body and mind. The idea of International Yoga Day was jutted by Indian Prime Minister Narendra Modi. At the United Nations General Assembly, Mr. Modi said, "Yoga is an invaluable gift of India's ancient tradition. It embodies the unity of mind and body; thought and action; restraint and fulfillment; harmony between man and nature; a holistic approach to health and well-being. It is not about exercise but to discover the sense of oneness with yourself, the world and nature. By changing our lifestyle and creating consciousness, it can help in well-being. Let us work towards adopting an International Yoga Day." Yoga is a part of the human soul and practicing yoga will only enhance our deep soul and cleanse anxiety within us. The aim of International Yoga day is to highlight an emphasizing approach to yoga, which focuses on both physical and mental well-being. So, in this yoga day have you made commitments to keep your health intact and strong to maintain long-term sustainability of a healthy life? Love Yoga? Make a Career Out of it!